Vibrant Chaweng throws out plenty of options for a night of dining, cocktails and dancing. 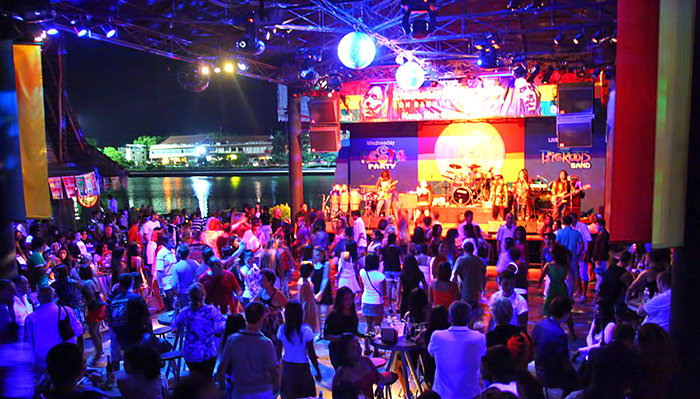 Soi Green Mango, Soi Reggae and Ark Bar is where the fun and revelry takes place. The vibe at discreet [email protected] is quiet and elegant, while venues like Bar Ice and Bar Solo offer fancy libations and a trendy setting. 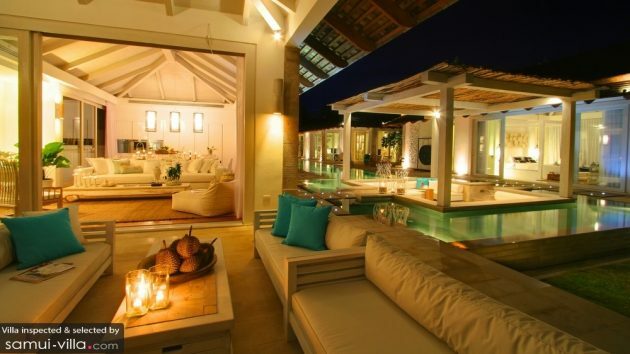 Three-bedroom Villa Belle is just right for an intimate getaway with your closest friends. You’ll be wowed by the chic interiors, luxe amenities and sparkling infinity pool. But our favourite part of this hilltop villa is the incredible sea vistas that it offers – best enjoyed from the breezy outdoor deck. 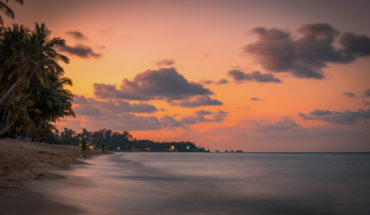 Don’t miss the magical sunset show; once you’re done with that, you’ll have all evening to party at the trendy hangouts dotting along the shores of Chaweng. 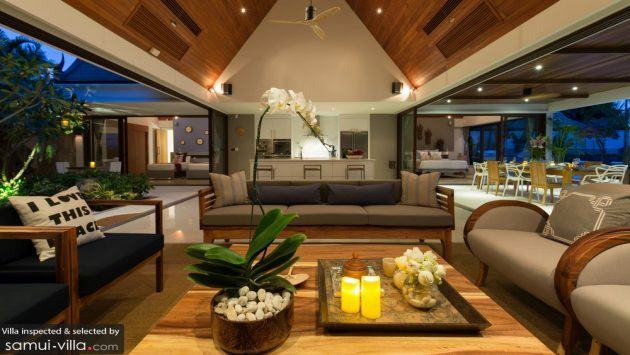 Five-bedroom Villa Natha welcomes a group of 10 party-loving travellers. We recommend chilling out indoors all day, and making the best out of the villa’s plush amenities – like the fitness room, in-house cinema and the incredible infinity pool – before you slip out to party through the night. 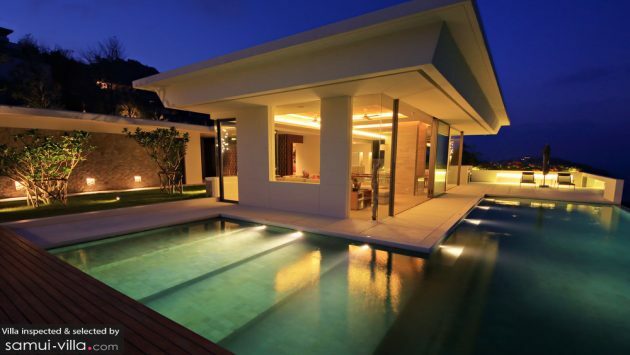 Large groups will gladly gather at Villa Mia Chaweng for a tropical retreat. 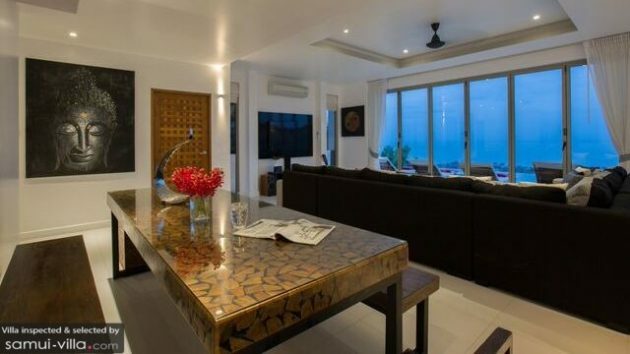 We love this incredible oceanfront abode for its chic, all-white living spaces, beautiful garden dotted with palms, uninterrupted sea views, direct beach access and prime location (the dining and nightlife venues of Chaweng are just a skip away). Whee! 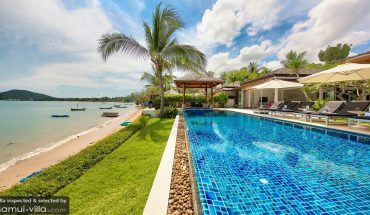 Villa Koh Koon’s picture-perfect setting, extensive garden and plush amenities (infinity pool, indoor bar, pool table, foosball table…the list goes on!) makes it a winner for year-end parties. Start the party on a relaxing note with sundowners by the bar, followed by an outdoor barbeque feast and pool bash. We like Bo Phut for its laidback ambience and upmarket establishments. Start your night at cosy Karma Sutra, before you bar-hop among venues like The Frog and Gecko, The Crows Nest, Sweeney Todd’s Cafe and Bar or The Pier. Round out on year on a stylish note at the ultra-chic Villa Manta. 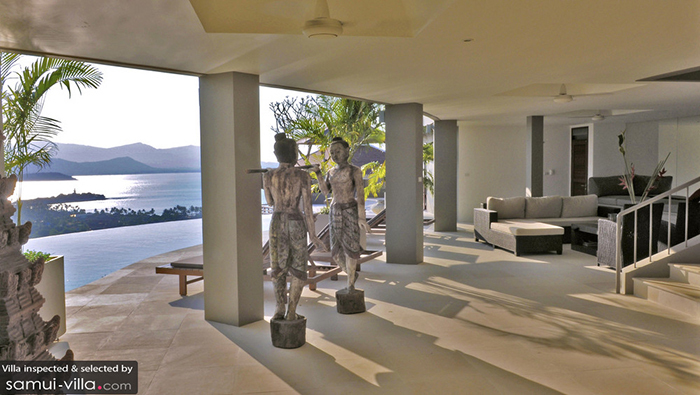 We love the open air living spaces, minimalist interiors, sun-soaked outdoor spaces and incredible ocean views. Four bedrooms sleep eight guests, so you’ll be able to invite seven lucky friends to join in on your year-end retreat! Villa Baan Capo is the epitome of tropical retreats, with its prime beachfront location, direct beach access and panoramic sea views! 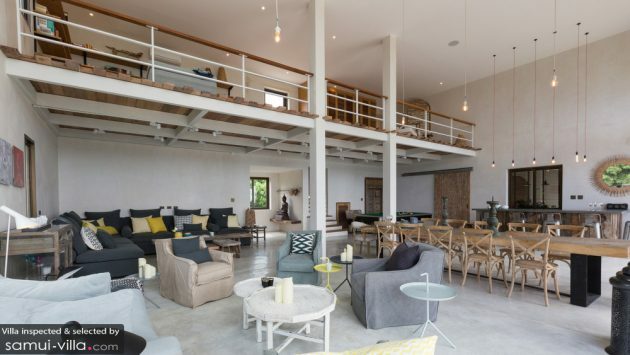 Your travelling party won’t be able to tear yourself away from this dreamy vacation rental, which has everything you need – from luxurious amenities to charming indoor and outdoor spaces – for fun or relaxation. 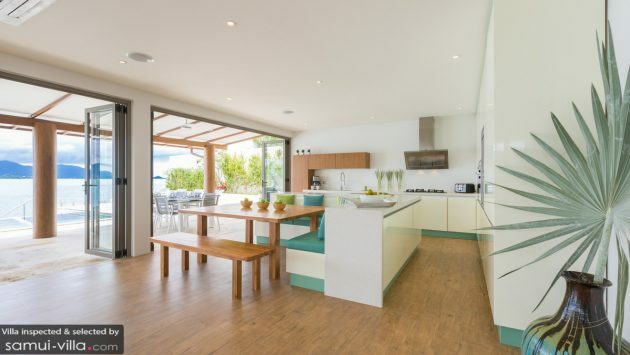 Need a capacious holiday home to fit a group of 18? 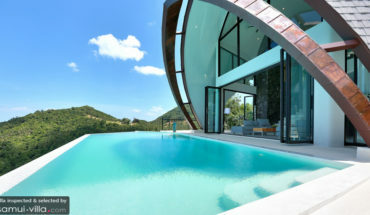 Nine-bedroom Crystal Blue Villa’s your best bet. We can imagine throwing a fun-filled pool bash on that sun-drenched deck, hosting a cocktail party by the poolside gazebo and inviting guests to tuck into grand dinner party indoors. Tranquil Bang Po is not the place for avid party-goers; its serenity makes it a great spot for a relaxing and restful getaway. We recommend staying in at your villa for an intimate dinner or dining at beachfront establishments like KOH Thai Kitchen or Haad Bang Po restaurant. 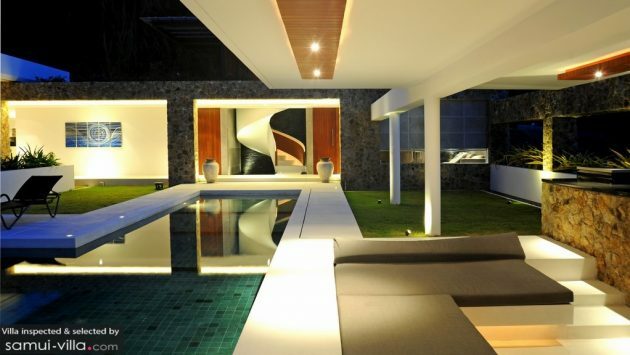 The all-white decor and minimalist design at Villa Blueview lend the home a sleek, stylish vibe. 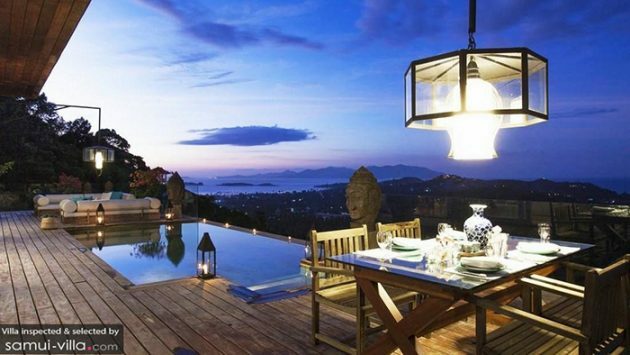 Little decorations are needed when the villa is positioned in a prime hilltop location in Bang Po – which draws your eyes out to take in the stunning blue hues. The white sand shores of Choeng Mon are dotted with high-end, family-friendly venues. There are plenty of beachfront restaurants dotted along the bay, like the sophisticated Dining on the Rocks or Dining on the Hill, and casual eateries like BBC Restuarant and Sunset Cafe. 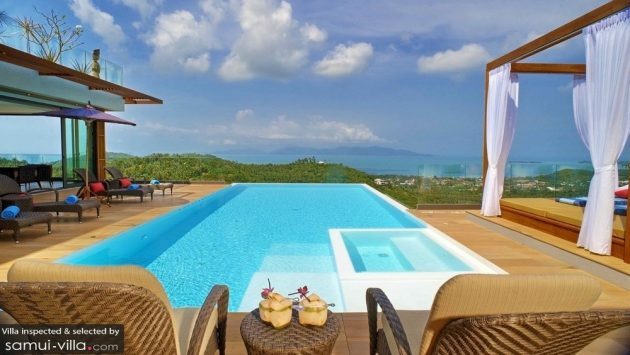 The name of this villa – “Panorama Summit” – says it all. Expect nothing less than spectacular coastal views (thanks to the excellent hilltop location) and living spaces that bring the outdoors in. A plethora of dining and nightlife establishments close by await your exploration – but that’s only if you can tear yourself away from this incredible home!